“What are you doing here? 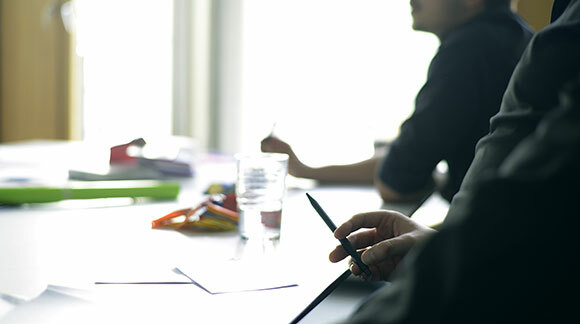 Aren’t you a designer?” This, or at least something like that was how the first conversations started when the WILDDESIGN team appeared on some industry meetings and met representatives of the pharmaceutical and medical technology industry. Now WILDDESIGN can look back to 20 years of affiliation in different networks of this section: from the forum MedTech & pharmaceutical to the industry initiative health economy up to the Medical Mountains Tuttlingen and Medical Valley Nuremberg/Erlangen, which WILDDESIGN consequently joined after opening of the office in Munich. Because of all those years, the question is now being asked rather rarely: On one hand because WILDDESIGN’s networking within the industry is exceptionally good and infamous like no other product design agency. An established and appreciative partner, which cannot be avoided in the expertise of Medical Design. On the other hand during the production development process the work of the designer was established. The Usability of a medical product became an elementary component during its development – and thereby it becomes the central task of the designer. It is probably also a benefit of the regular exchange between the disciplines, that the operability of a medical product is already considered within its early development stage. the cooperation with other enterprises opens the doors for new fields and customers. For example, one of the most important cooperations for WILDDESIGN (for decades) has been the company BYTEC medical technology, the specialist for hard/software development in the medical technology field and contract manufacturing: Because of the cooperation with the company from Eschweiler, WILDDESIGN is able to offer customers the all around carefree package from design up to completion, in accordance with IEC 13485 for medical products. Special possibilities in the development and manufacturing of optical, medical and laboratory instruments are possible because of our cooperation with (obviously, our names are similar) Austrian Wild Völkermarkt. However, the cooperation with Canto Ing. Lüdenscheid makes it possible for us to offer all kinds of prototypes to our customers as fast as possible, whether it’s a operating model, a design model, a seriesnear prototype or a low volume production. Many further complementary set up enterprises in different service and production areas, with which we have been cooperating for years now with mutual confidence could be mentioned here – important components for our entrepreneurial success. 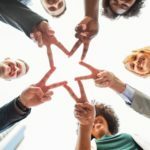 Besides the cooperation partners, which could be found through networks, there is no better place to discuss new requirements or trends than in a group of interdisciplinary experts, who are merged in such a process. And: Nowhere is a better place to exchange information than a network. This doesn’t just allow WILDDESIGN to analyze everything from a perfect point of view, which gives us the currently most important topics of the industry, but also allows us to advance things uncomplicatedly: For example, “the longest competence chain of the medical technology” is a topic often addressed to Markus Wild & Co. This was represented impressively by Markus Wild on a 30 meters long work bench many years ago at the EuroMold in Frankfurt on the Main, the worldwide leading fair for tool and mold construction, design and production development. 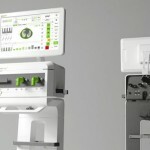 To this special exhibition in the heart of the fair in Frankfurt, altogether 30 reowned specialists from the medical technology industry could be mobilized, in order to illustrate the visitors the entire production development process – starting from the design, followed by the prototype and as far as the series production. Such a concentrated meeting of the Top Players was at that time unique and only realizable, because spontaneous supporters could be found within the network. 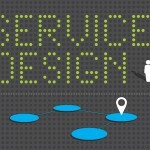 How do I integrate Industrial Design and Usability Engineering into the medical product development in the sense of user centered design? How do the two disciplines help me to develop a superior product in the context of the regulatory requirements? 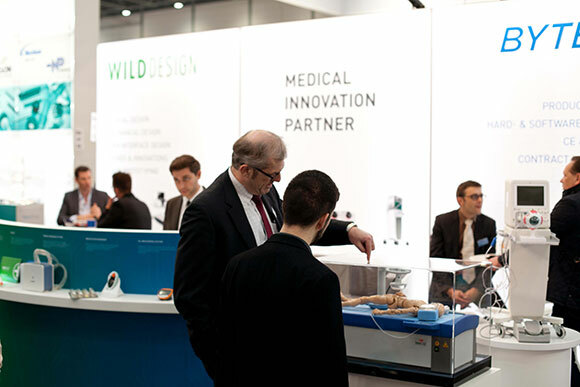 Apart from the networks, in which WILDDESIGN is a member, we naturally like to take place in other meetings of the industry: For example, WILDDESIGN is on the Medica/Compamed, the internationally leading trade fair for medical supplier industry for now more than 17 years and firmly booked exhibitor. The possibility of meeting all experts here, is a important and rewarding component for the exchange among each other. These are only some examples which show, which increase of value networks can offer enterprises: They are not only instigator or knowledge pool, but also fortunately make many things possible thanks to the hands-on-mentaility, that would alone not be possible. So, something that doesn’t look right on the first sight – a designer in the middle of medical product developers – became extremely meaningful and effective for everyone in the industry. > Brancheninitiative Gesundheitswirtschaft Südwestfalen e.V.